Healing with crystals is a very gentle, yet powerful method. 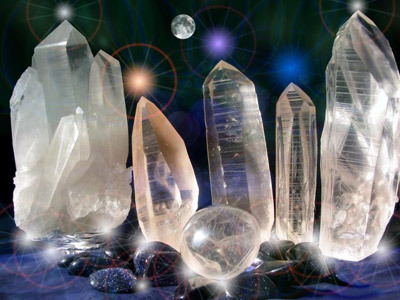 The crystals work together and create a field of energy around your body. The method I use is Universal White Time Mineral Healing. I am a certified level 4 practitioner of this healing method and I absolutely love working with it, also on myself . It is a great gift from the Universe!! This method is a very safe, gentle and precise method that specifies layouts of specific gemstones placed on specific places on the body, mostly on the chakras. This guarantees that the layout used brings about the desired results. Generally I will start with a deep balancing and healing layout. After the initial layout one to three layouts can follow. I will use my intuition to feel in what is most needed for you at this specific moment of time. These gemstone healing layouts can be done in person or from a distance. Like with all healing energies, energy follows intention and knows no time or space like we humans do. I am looking forward to be at your service!! !